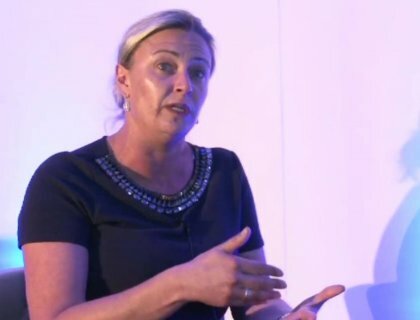 Maeve Fox, Global Channel Strategy Manager, APC Schneider Electric talks about how it has launched a new programme for partners which is very different from what has gone before, driven by talking to channels and MSPs beforehand. The new plan was announced at the Managed Services and Hosting Summit in London. "The programme we have developed over the last 18 months is different from what we have done before. It is not product driven, or even offer driven. We have spent a lot of time talking to our partners and to MSP partners we want to engage with in the future, to get a clear understanding of the gaps in what they were offering their customers base. What we discovered is that power and cooling is a backbone of the infrastructure, but a lot of MSPs are not covering it as part of their service provision. We didn't want to develop a product as such to solve that, but to create a solution to enable them to plug that gap in their existing portfolio. So we are working with a lot of platform makers - firms like Kaseya and AVG in order to do all the software to make it easy for existing partners to snap that integration into their existing business. "We've had a channel programme for years, both as APC and after the acquisition by Schneider Electric. We did a complete overhaul of this a year ago, focusing on specialisations rather than tiers, looking at partners competencies and where they were moving their business to, whether that was power or datacentres or software. So we have adjusted the programme to focus on those areas. Now, adding a specialisation around something like managed services becomes a natural progression, although it is different from what we have done in the past."